Get up to 60% off the Colorqube 8700! 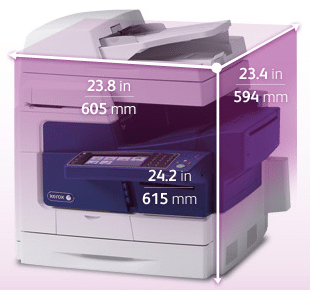 Are you looking for a new color copier and have wondered what you get? The great news for you is the Xerox Colorqube 8700 is currently on a quarterly special where you can trade in your old color copier and get up to 60% off the price of the new copier. Given these ballpark for about $3000, that is an $1800 trade in rebate. So, you would be getting a $3000 copier for about $1200 after you get your rebate check back from Xerox, which takes about 6 weeks. Some of the benefits of the Colorqube 8700 is that it goes 44 pages a minute, comes standard with print, copy, and scan. Fax can be added for a few hundred dollars, but the $3000 price included fax. Accessories like stapling and extra drawers can also be added and they also qualify for the trade up rebate! Give us a call or fill out our form to learn more! We would love to chat.